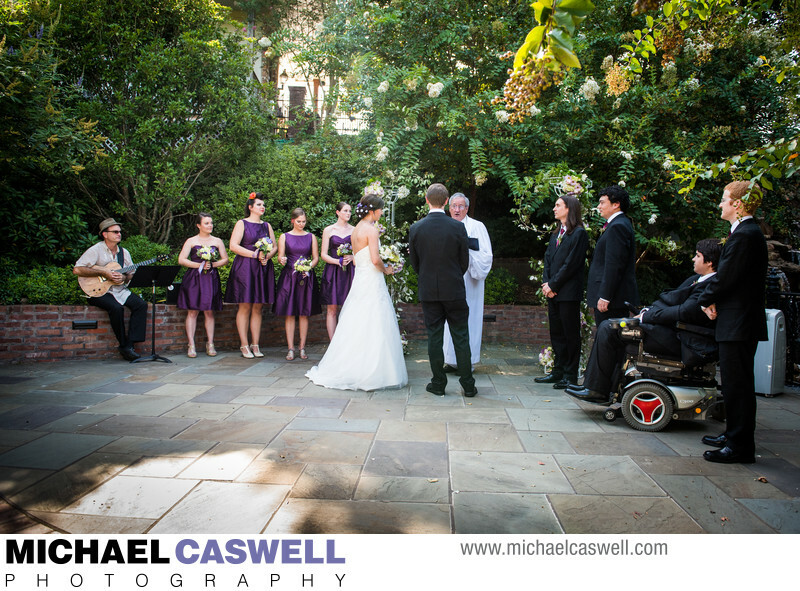 For this fun couple's wedding, I was excited to travel up to central Louisiana to the historic town of Natchitoches, which is just north of Alexandria. 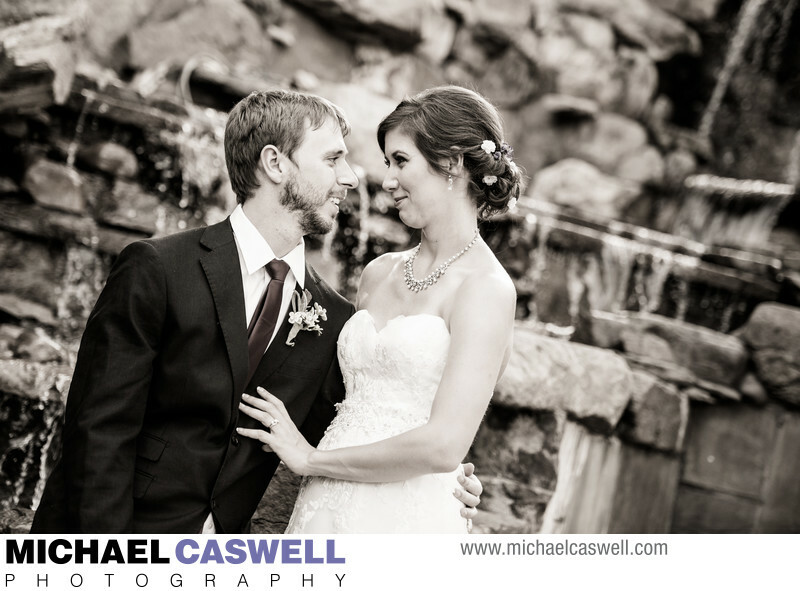 The intimate ceremony and reception both took place at Beau Jardin, a beautiful park area on the bank of Cane River Lake in the Natchitoches Historic District. Recently constructed, Beau Jardin features a beautiful waterfall and stream, and elegant brick steps that curve down the hill. It was down these steps that the gorgeous bride made her entrance at the beginning of the ceremony, with her soon to be husband waiting for her at the base of the steps with the flower girl and ring bearer. The bride looked truly stunning in this setting. After the ceremony we did some formal group shots, and then did some portraits of the bride and groom in some of the spots around the grounds. 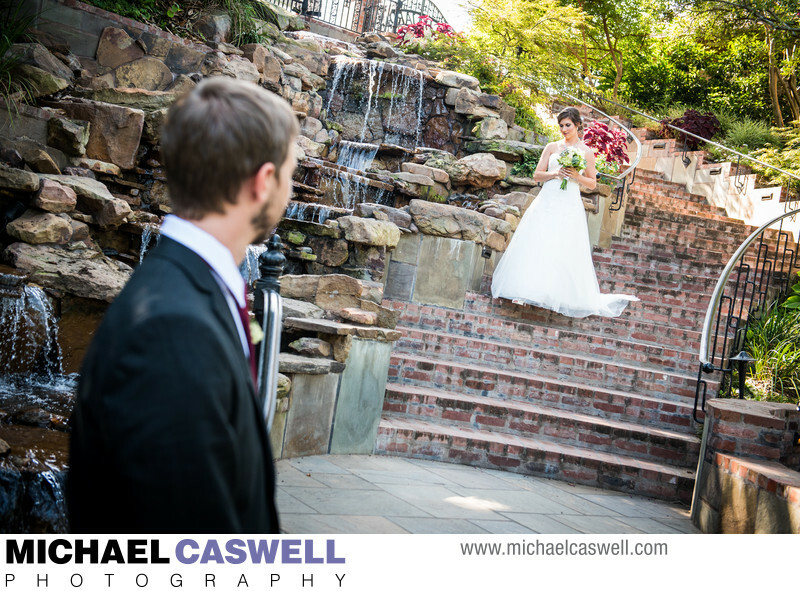 The waterfall and steps were absolutely perfect for these photographs! The entertainment for the relaxed and low-key indoor and outdoor reception was provided by Roadhouse Band. The Roque House, a very old creole home built in the early 1800s, is also part of the venue. The home was moved from its original location south of the town to its present spot in 1967, and later was restored. 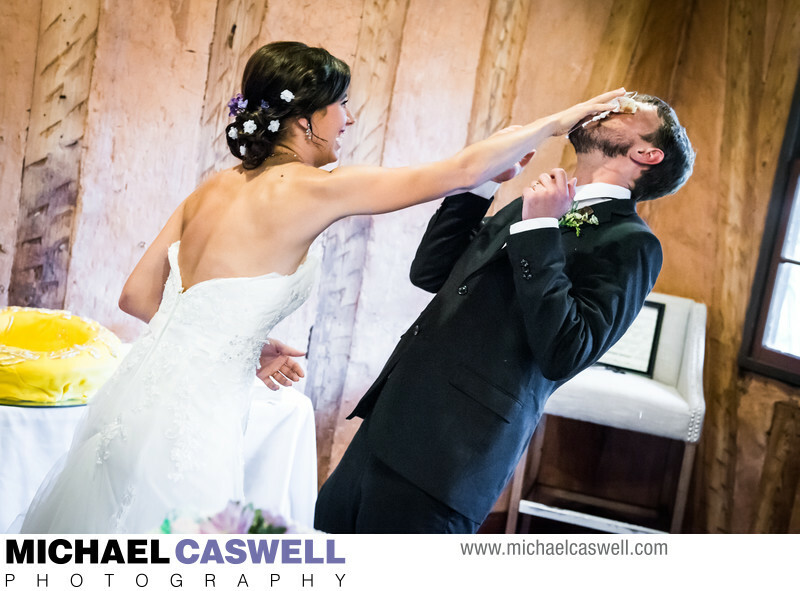 Here, the bride gave her groom the best cake-face-smash ever (after, it should be noted, he actually requested it after much contemplation)... instead of just using a small piece of cake in her hand, she took a whole slice on a plastic plate and smashed it into his face like a pie! Location: 760 Front St, Natchitoches, LA 71457.